Home › investors › Should You Renovate Your Home Before Selling in Southern California? Question: I have lived in my home for 20+ years and we are now ready to sell. We love our home, but feel others may feel it is outdated. Should we invest in some renovations, or list it first and see what the response is? A: While today’s Buyers generally prefer to buy homes that have renovated Kitchens and Baths, doing a renovation may be costly. Some helpful steps in your decision making process would be to obtain estimates of what the actual costs will be, review the prices of homes currently for sale in your area to ascertain their condition, and most importantly, speak to a real estate professional specializing in your neighborhood. 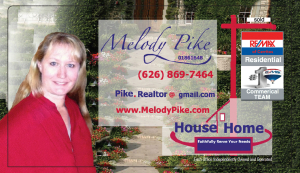 Would you like to sell your home? Contact Melody Pike If you do not live in Southern CA she will help you find a Realtor in your area!